Super adorable animals and fun facts! 10 super cute unbelievingly adorable animals and fun facts related to them! Get ready to ooh and aah at what’s out there!! First off is a tiny rat sleeping with his cudly dreaming of cheese I suppose. 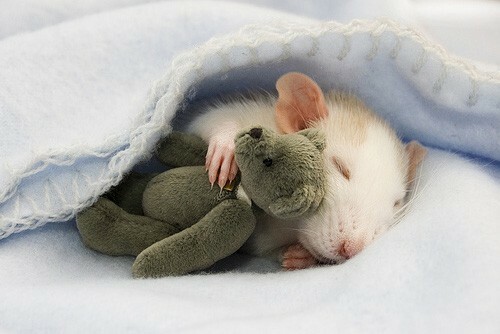 Yeah its a domesticated rat sleeping in his blankie for real! Don’t believe it? What you’ll say then when you see all the rat couture being displayed at the Fancy Rat Conevntion in NYC…! 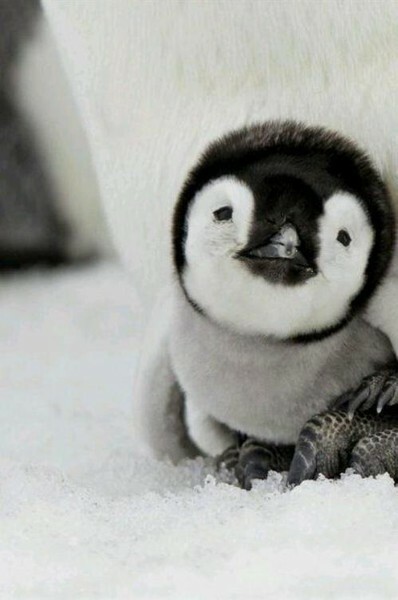 Its a cute little baby penguin! No words needed here……Happy Feet and March of the Penguins has enlightened us all!! 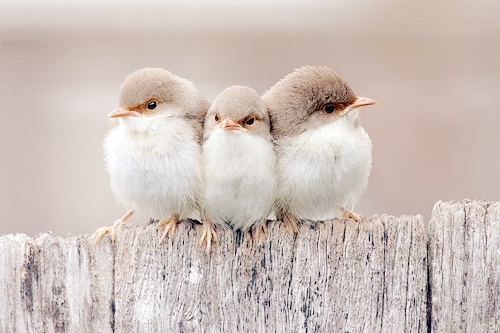 Three little birdies…..wonder what they are thinking? 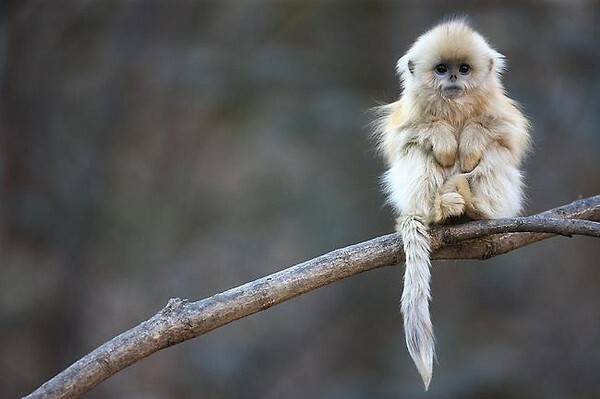 That’s a golden snub nosed monkey! The luxurious heavy fur helps it survive the sub-zero winters of China. The quirky cute face? Primatologists say the flat muzzle evolved to combat frost bite of the exposed nose in extreme cold. Small enough for our palm but too prickly to hold! 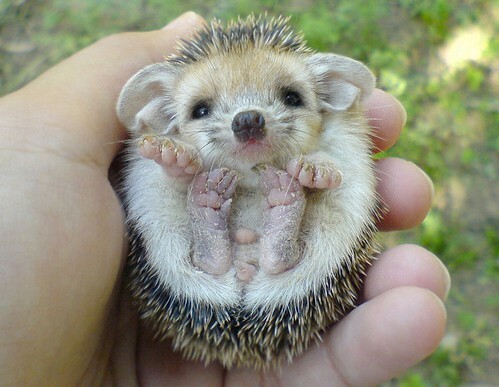 Its a Hedgehog! 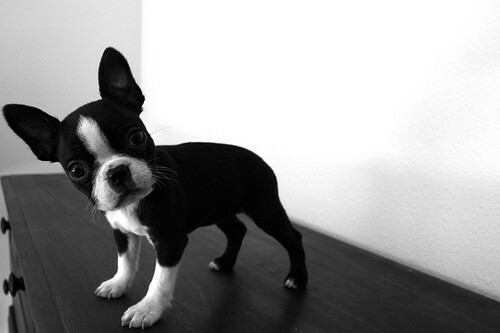 They have become very popular as pets in many parts of the world due to their tiny tiny features and cuteness overload! 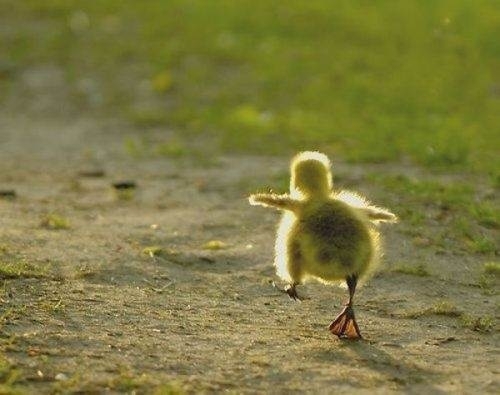 Baby chick dancing away to glory! White tiger cub born at Lowry Park Zoo in Tampa, Florida. Did you know white tigers originate from our very own Bengal tigers? They are not albino or another subspecies of tiger….they are just white! They are born to tigers that carry the unusual gene needed for white coloring. They have blue eyes, pink nose, and chocolate colored stripes on their white fur. Baby fennec fox! Found in the Sahara region of North Africa, Fennec Fox is a nocturnal creature and its most distinctive feature is its unusually large ears. If you are in the United States, you can have this supa cute fox as a pet! Blacknose baby lamb! Blacknose lamb or Valais Blacknose is an old breed of domesticated sheep found in the Valais region of Switzerland. 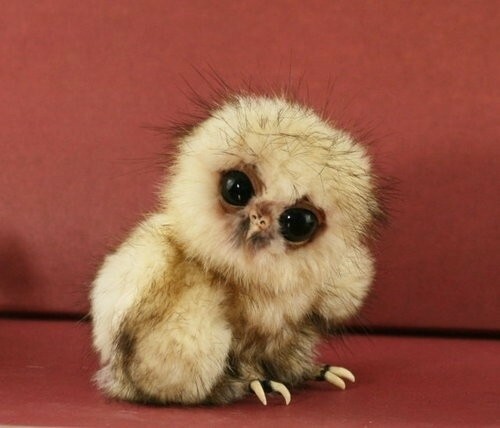 Baby owl or to use the right word owlet. Yes as unbelievingly cute the owlet looks, its still a bird of prey! You can own it as a pet in Unites States and Australia but special permits are needed. These are very destructive and high maintenance pets but hey we don’t judge…we just love! 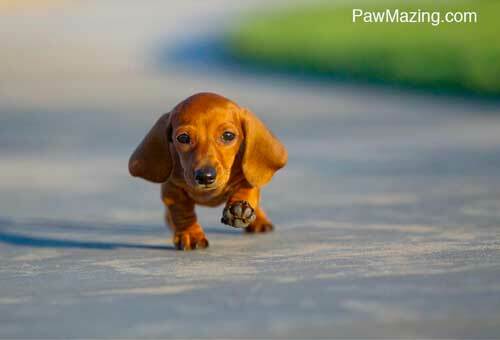 Banish your monday morning blues with these cute puppy pics !! 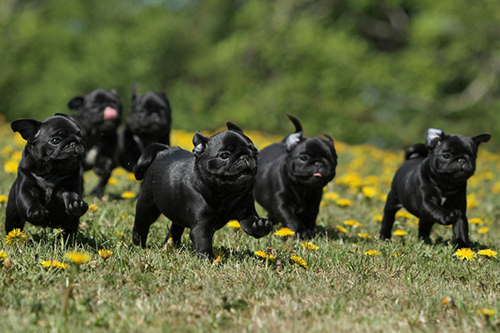 Nothing cuter than a bunch of black little puglets! If you are not smiling yet….here’s the VADER himself! !